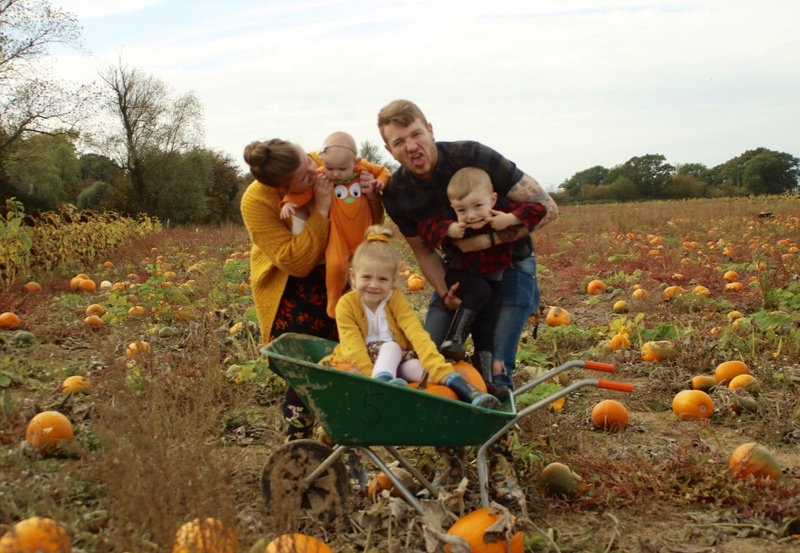 I've shared October's Me and Mine photos from the pumpkin patch for the last few years now, so of course this year is no different. Halloween has quickly become a favourite tradition in our family. 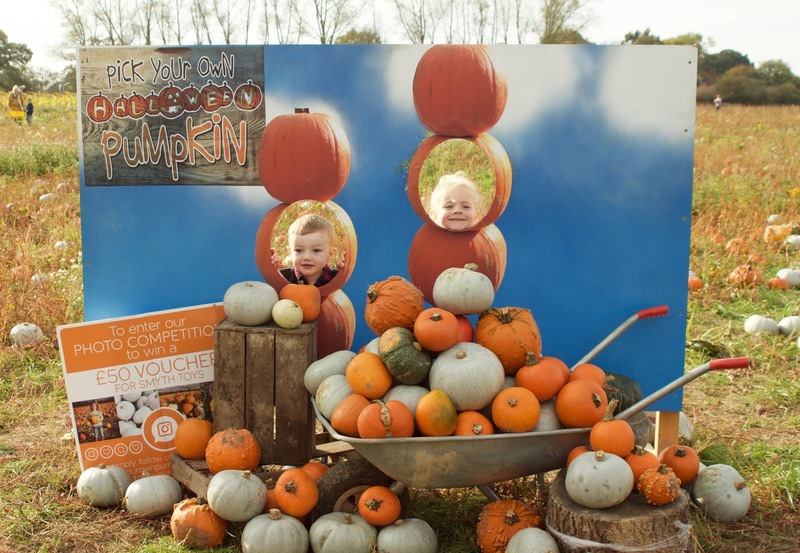 The littles love our pumpkin picking tradition, and of course we have the big night itself tonight too! October was a funny month though. Although I cannot believe we're at the end of it, the days seem to pass by quite slowly. Well, apart from half term that is! 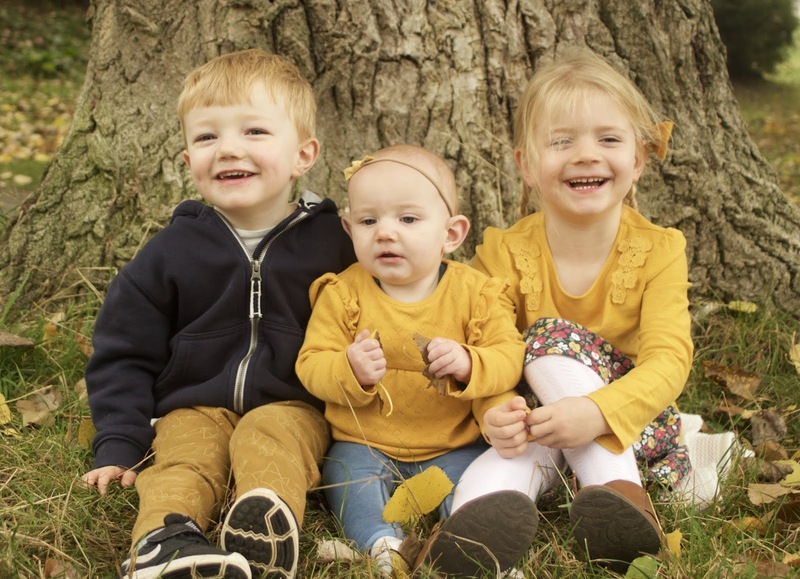 I loved having my two at home for the week, and although it was full of bickering / arguments / time outs, it was amazing to throw out the routine and get out with my little team. I feel as if now Indie and Parker are at school most of the week (and then exhausted at the weekend! ), we don't do anything fun and spontaneous anymore. We can't just wake up in the mornings and decide to go somewhere - of course we still do on Jack's day off sometimes, but it just doesn't feel right without Indie with us. I'm sure I'll be used to it by the end of this term, but I miss having our little team all together. 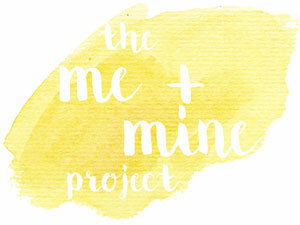 We've got lots of exciting things to come over the next few months though. Bonfire night, Indiana's birthday and of course everything Christmas! I absolutely hate the colder weather and dark evenings, but my goodness am I excited to get all cosy and Christmassy again, it's such a special time of the year. 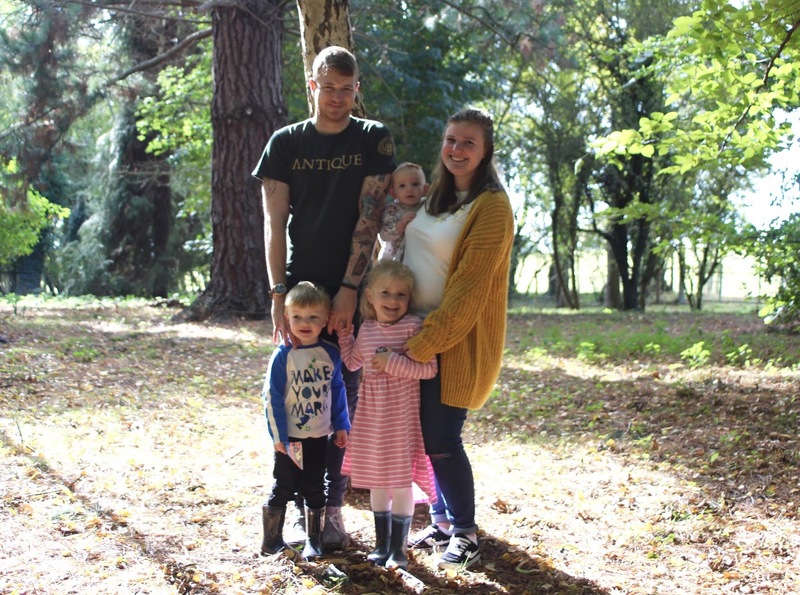 When you become a parent, looking after yourself definitely becomes the bottom of your priority list - well, it did for me anyway! 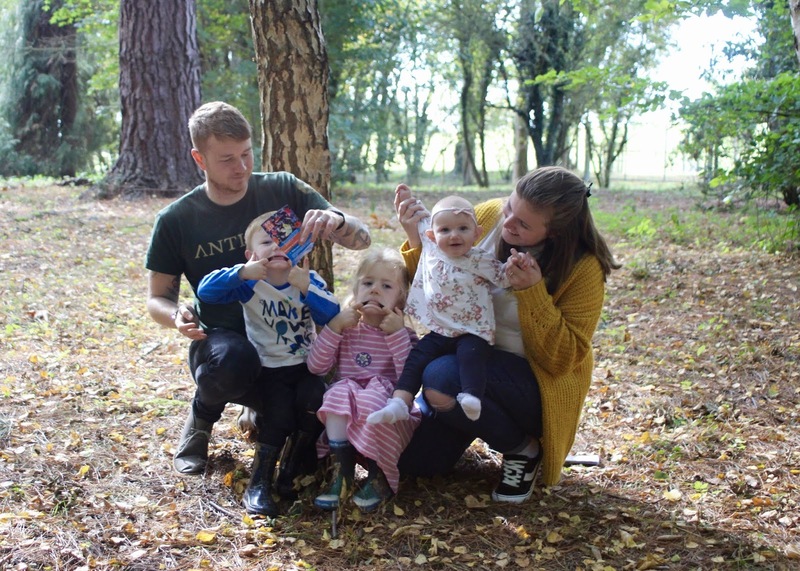 With three little ones aged 4 and under, I definitely feel a bit of 'me time' and pampering is exactly what I need though. So when The Massage Company invited me along to their new Tunbridge Wells branch, I practically jumped at the chance. 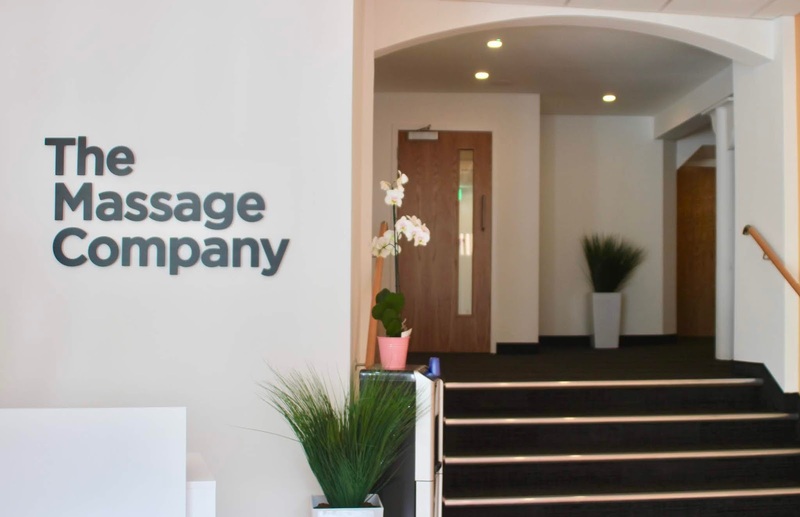 The Massage Company was founded by Charlie Thompson and Elliot Walker, who opened their first centre in Camberley in March 2016. 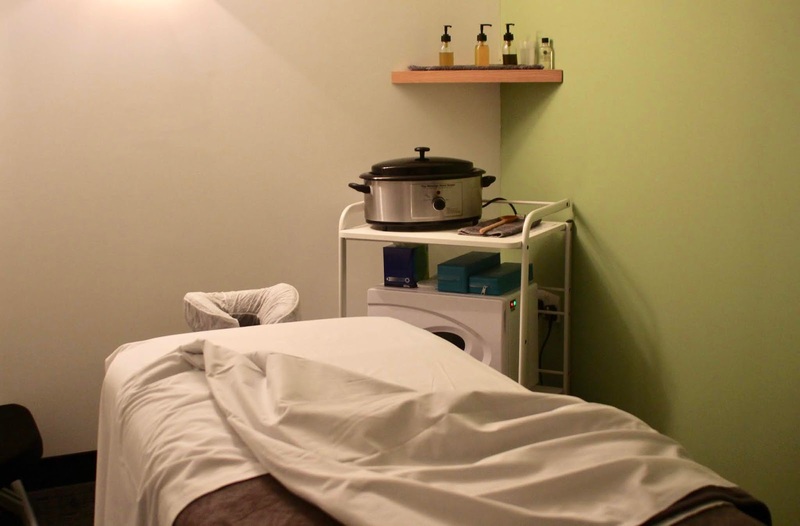 Their vision was to bring high-quality massage to the mainstream, by providing fantastic facilities in convenient locations, and pricing massages at reasonable prices. Regular massage has been proven to help with stress and aid relaxation and recovery. So by providing the above, they can show their customers the positive effects regular massage can have! 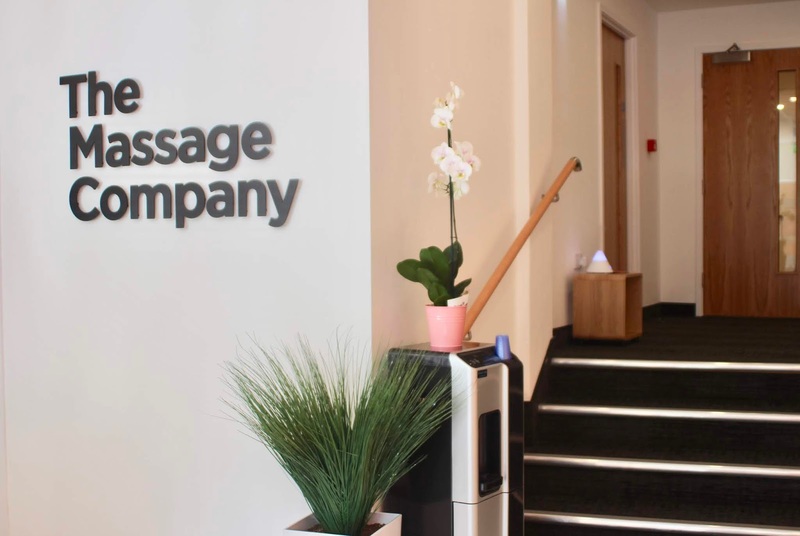 The Massage Company's Tunbridge Wells branch, which opened in September 2018, is first UK franchise centre. Located along Monson Road, the centre is open 7 days a week (until 9pm! ), and is really easy to get to and find - parking is available at either Monson Road car park (across the road, at a charge), or along the street outside during the evenings. 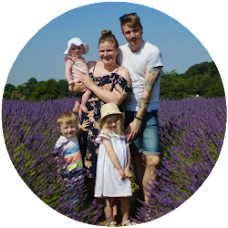 The centre specialises in a selection of highly targeted treatments for pain relief and relaxation, including Swedish massage, deep-tissue massage, sports massage and pregnancy massage. You can also upgrade your massage with a number of treatments including hot stones and aromatherapy. When I arrived at The Massage Company Tunbridge Wells, I was warmly greeted by Taran (the store owner), and given a consultation form to complete - covering medical history, pressure preferences and letting my therapist known what areas I didn't want touching / what my problem areas were. I was then greeted by my therapist Charlie and taken to the treatment room. The room was quite small and basic, but comfortable and relaxing. Charlie explained about the upgrades I could have chosen, before starting the massage. I was gifted a deep-tissue massage, and let Charlie know my problem area was my lower back (thanks little ones! ), and I have to say, although painful at times, it was incredibly relaxing! Charlie was reassuring too, and asked if the pressure was comfortable at many points throughout the massage. The treatment beds are heated so I was comfortable and warm at all times, and the calming music and dim lights just added to the relaxing atmosphere. I honestly could have fallen asleep at any moment! I am always a bit skeptical about massage oils with massages too, but the lotions used at The Massage Company smelt fantastic, so that was a big thumbs up from me there. 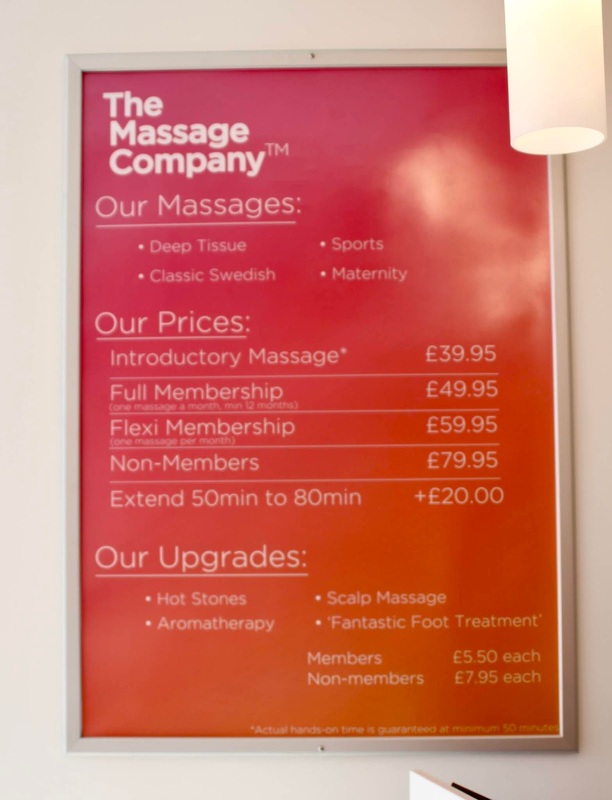 The Massage Company have tried to create an affordable and convenient membership plan, to ensure massages becomes part of your lifestyle. Introductory sessions are available at £39.95 for your first visit, which I think is fantastic value! After this session you are then offered to sign up to a membership, which gives you one massage a month for £49.95. For me personally, this isn't actually that affordable (three little ones are pretty expensive! ), so I don't think I could sign up for a membership at the moment. But I think if you could commit to having a massage each month, then it is actually an affordable way to enjoy them! I received a deep-tissues massage in exchange for this review. However all opinions are honest and my own. Those 40 weeks of pregnancy seem to go by oh so slowly - especially towards the end when you're just waiting for the day you'll go into labour. 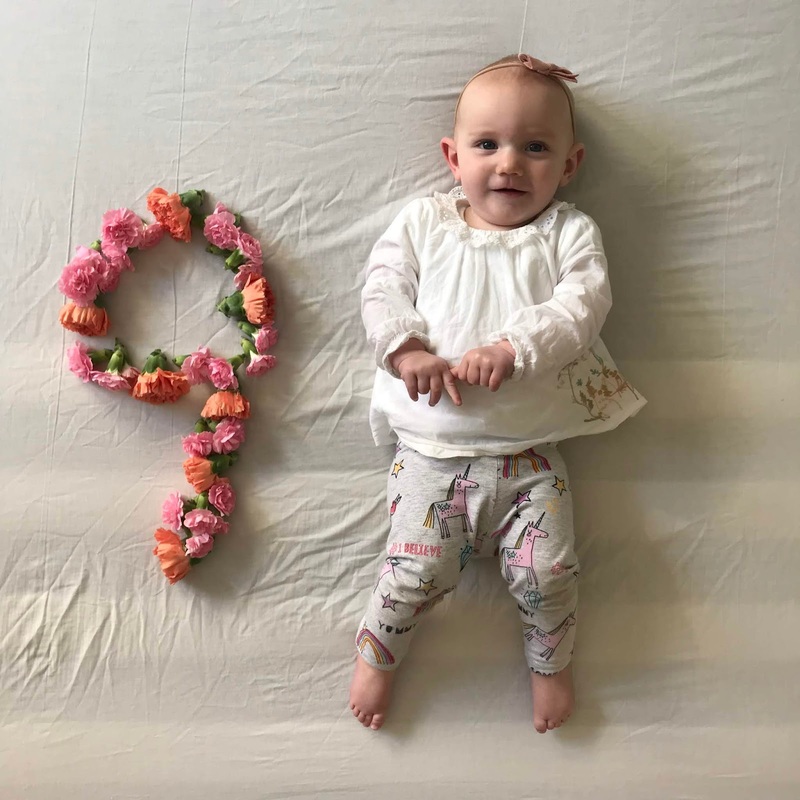 But once your baby is born, those weeks seem to fly by so so quickly. Especially when you've already go older children! I'm actually a little upset that Lilah's two front teeth have finally popped through, meaning she has 6 teeth now. Her toothy smile is soo sweet though, and they've defintely helped her with eating. She absolutely LOVES her food, and will actually get angry if you don't give her food fast enough. Banging on her tray, screeching at you, and trying to steal your food too - it's so funny! Development wise Lilah is still mostly speed crawling, climbing and cruising. She is pulling herself to stand solo constantly though (which was terrifying at the beach yesterday), and can now stand by herself for about 10 seconds. I don't think walking is that far off now, so wish us luck! She is such a happy and vocal little baby, and is constantly chatting away in her own little language. We still haven't got a proper 'mama' out of yet, but she can wave and say 'bye'. And if anyone says mama to her she instantly looks at me, so I guess she knows who I am at least! The biggest development this month is probably the start of separation anxiety. She hates being left (especially by Jack), and will scream and cry until the second you pick her up. It's making getting things done a little trickier, and she really hates being left in her buggy when I have to go into the classroom to pick the big two up. Any advice would be really appreciated! Autumn is definitely my favourite season. 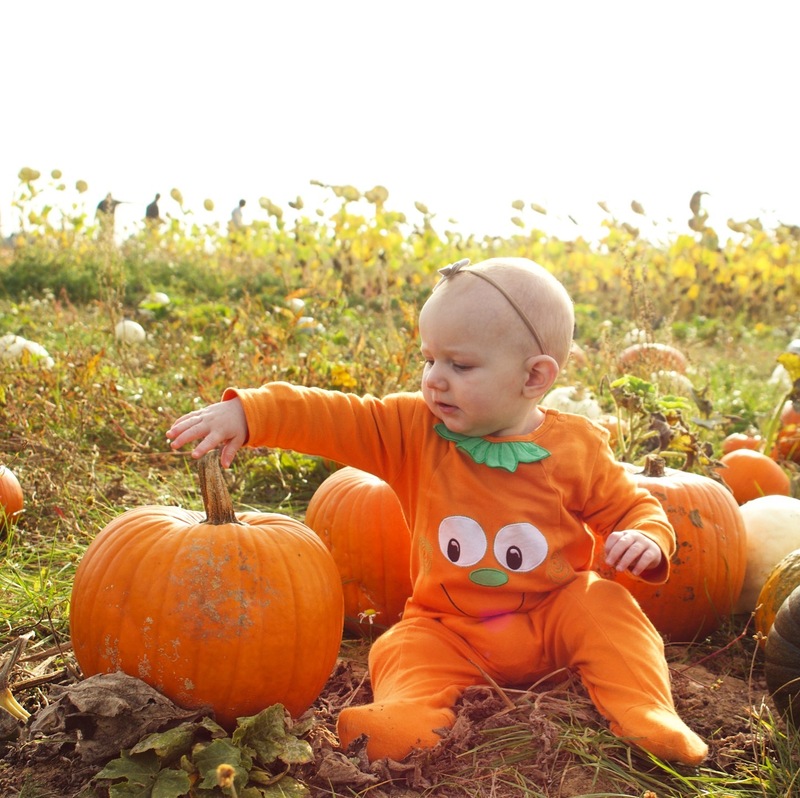 The sunny but chillier days, crunchy leaves and of course Halloween. 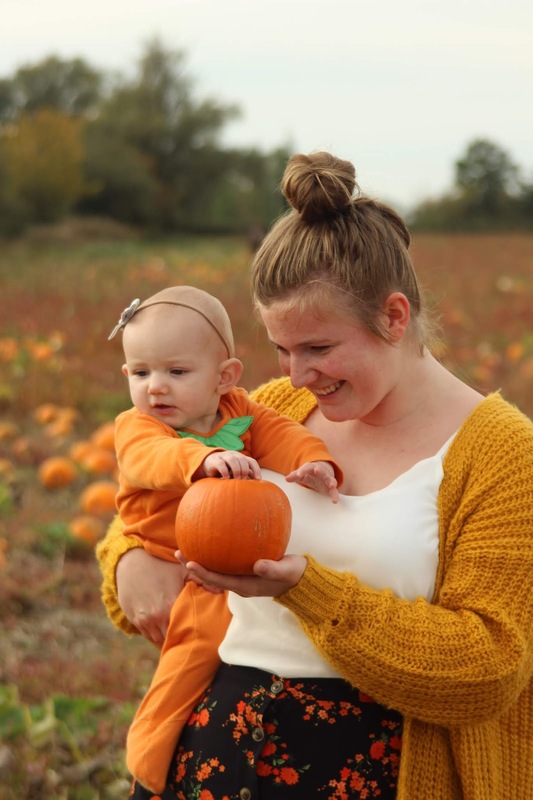 One of the main reasons why though, is because of our yearly pumpkin picking tradition! 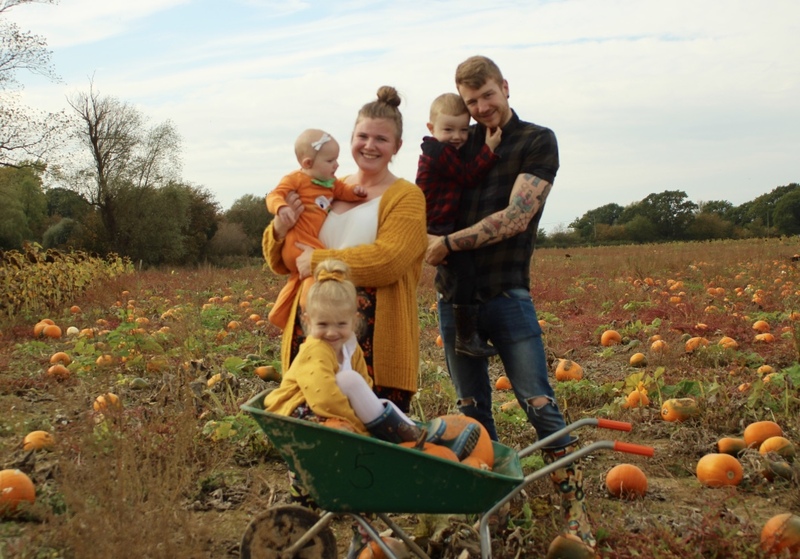 We have been visiting Pick Your Own Pumpkin Sevington for the last few years now, and this year they invited us to check out a few little extras they have to offer. 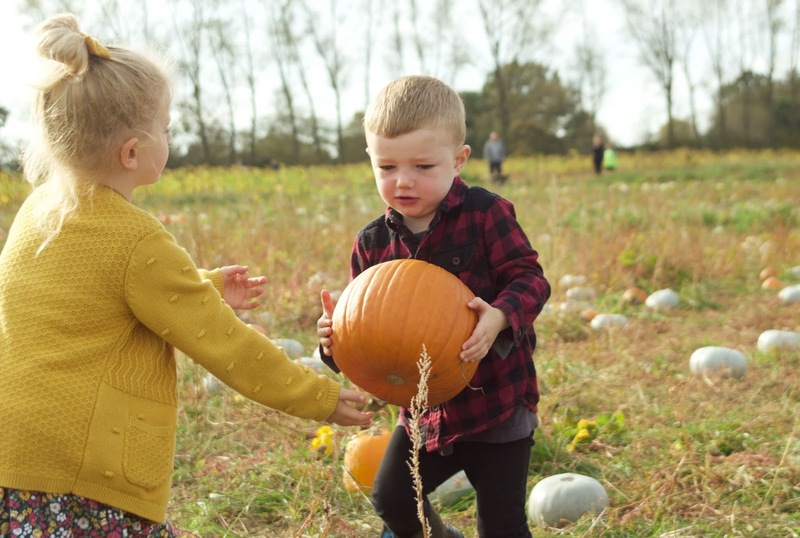 Pick Your Own Pumpkin is a family run farm in Ashford, Kent, and is easily accessible from the M20. 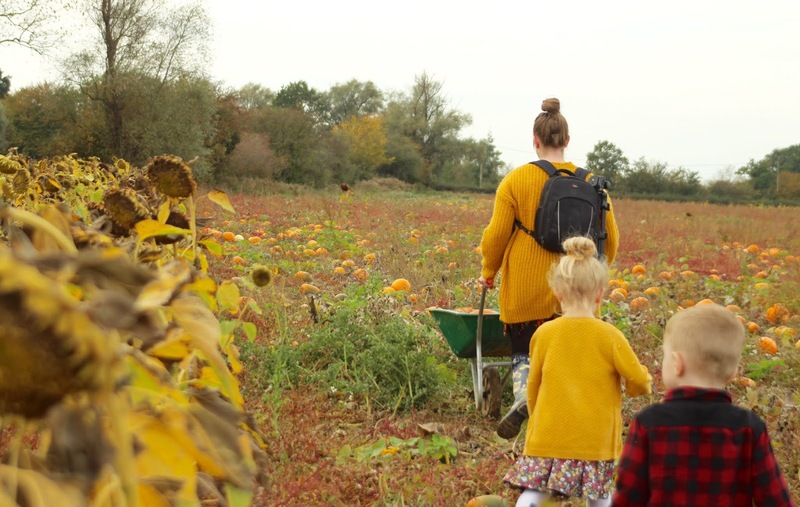 The patch is completely free to visit, and they have plenty of wheelbarrows available to collect your pumpkins in - or whizz your little ones about if you're like us! 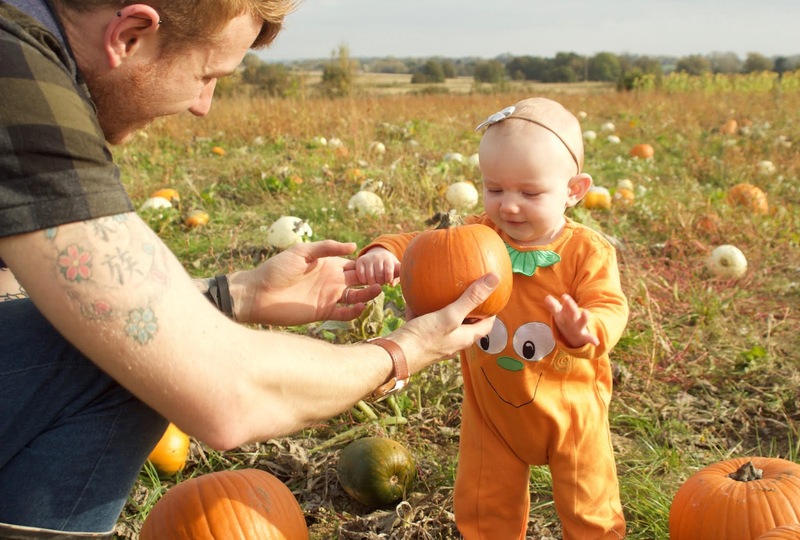 You just simply collect as many pumpkins as you want, and pay for what you've picked (based on size, prices range from £1 - £5). 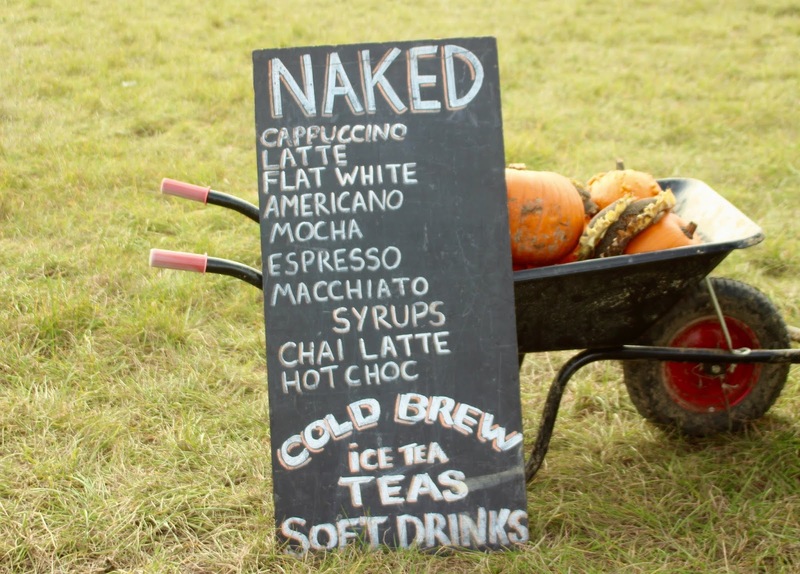 This year there's even more on offer at the patch aside from the thousands of pumpkins. 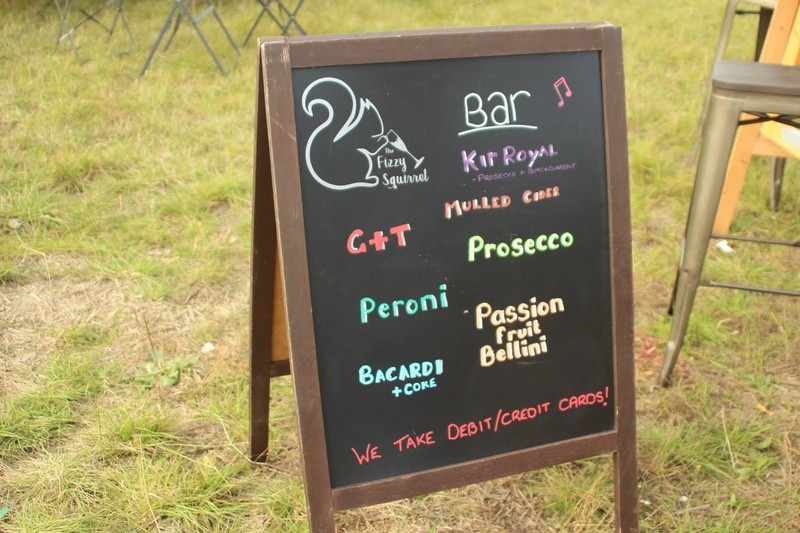 The Fizzy Squirrel have a lovely little trailer at the farm, offering Prosecco, mulled cider, soft drinks and a few nibbles too. 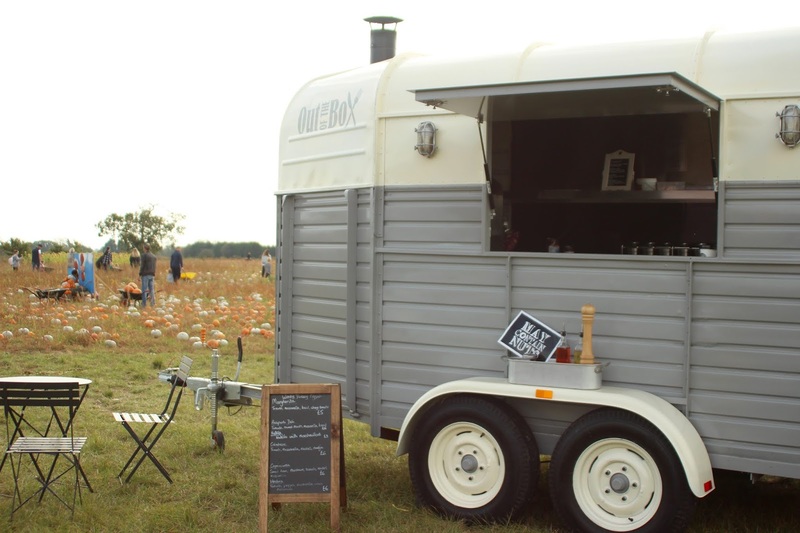 Another new treat trailer this year is from Out Of The Box Events, who are serving fresh wood fired pizzas (and chocolate pizzas) too. 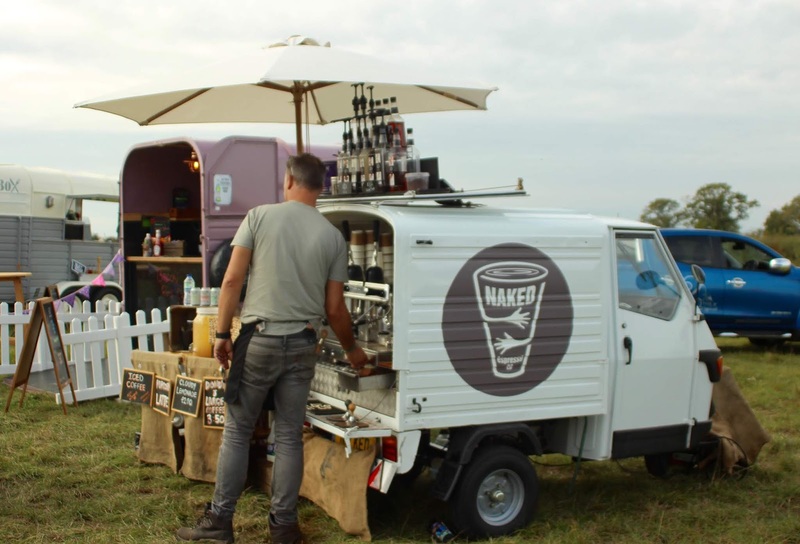 Both of these trailers are only there at the weekend, but other hot drinks are available from the Naked Espresso van daily though. There are also toilets on site (including a baby change), so there's no need to worry. 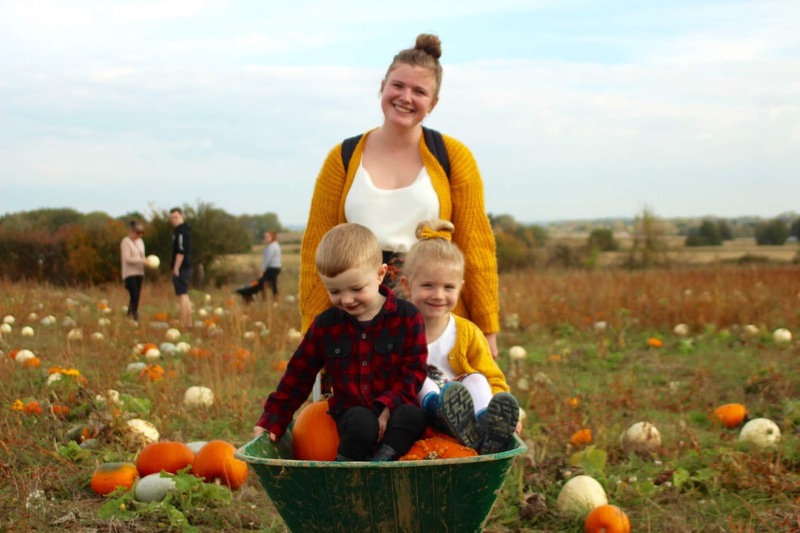 We absolutely love our visits to Pick Your Own Pumpkin, and have come home with a whole array of different pumpkins, squashes and even a few cobs of corn that the littles collected from the parking field. 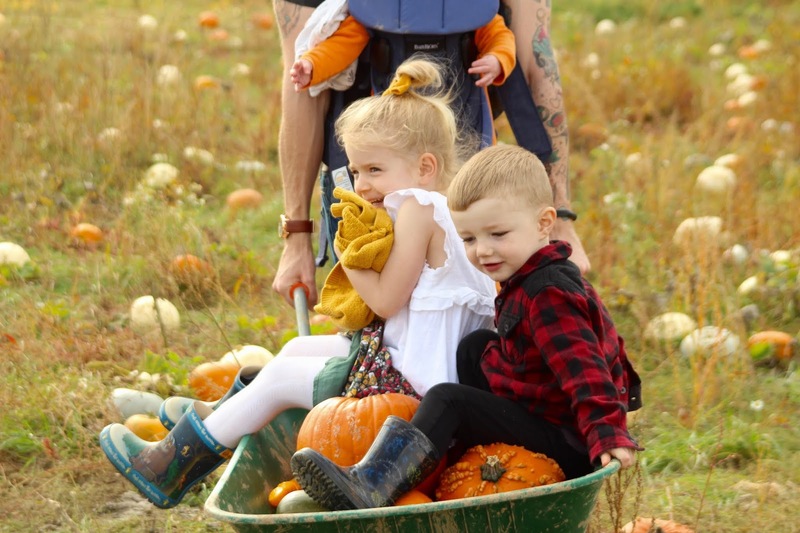 Indie and Parker are still talking about our visit, and have even taken the littlest pumpkins in to show their friends at school! My favourite ones we picked this year are definitely the white/green ones, they are so unique and interesting! They have soo many on offer in the field though, so there's still plenty of time to visit before Halloween. They are open 10am - 4pm on Saturday 20th October through to Sunday 28th October. I'd keep an eye out on their Facebook page for updates though, just in case. We were invited along to visit and gifted our pumpkins, and treats from The Fizzy Squirrel and Out Of The Box Events. 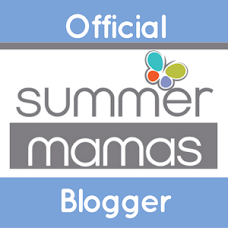 I was not paid for this post, and all opinions are honest and my own. 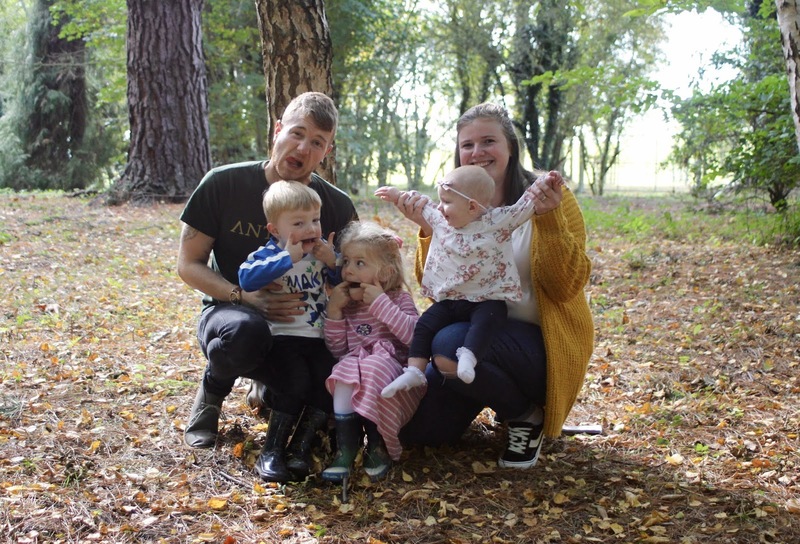 It feels as if I was only just writing up last month's siblings project post, and now I'm sharing October's post already! Since my last post, we have fully got into the swing of our new weekly routine. Indiana is absolutely loving school and comes out full of stories and excitement each day. I can tell Parker is well in need of the upcoming half term break though, as he is completely exhausted by the end of the week. 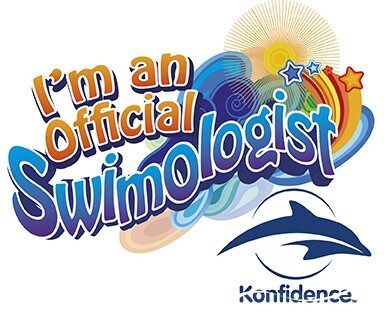 And so am I to be honest! We have tried to keep weekends as low-key as possible these last few weeks, as everyone simply has no energy to do much. 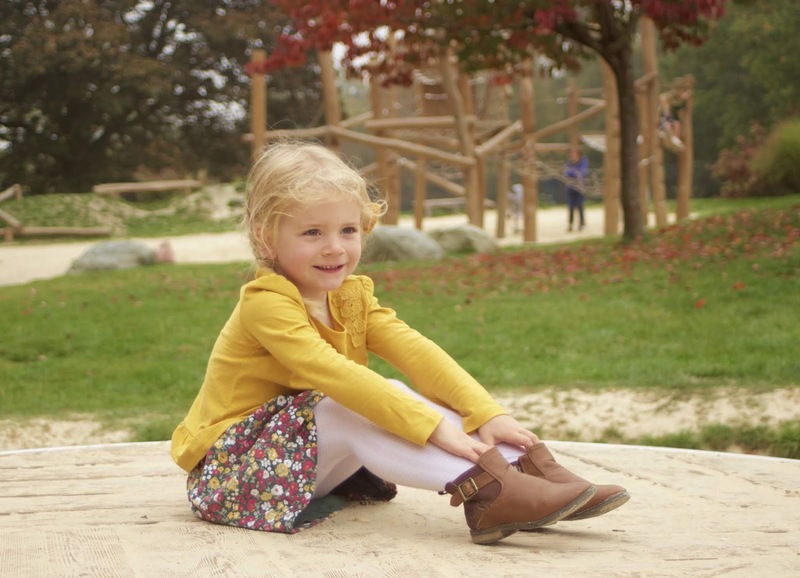 Trips to the park and lots of lazy afternoons at home have been just what we all needed. 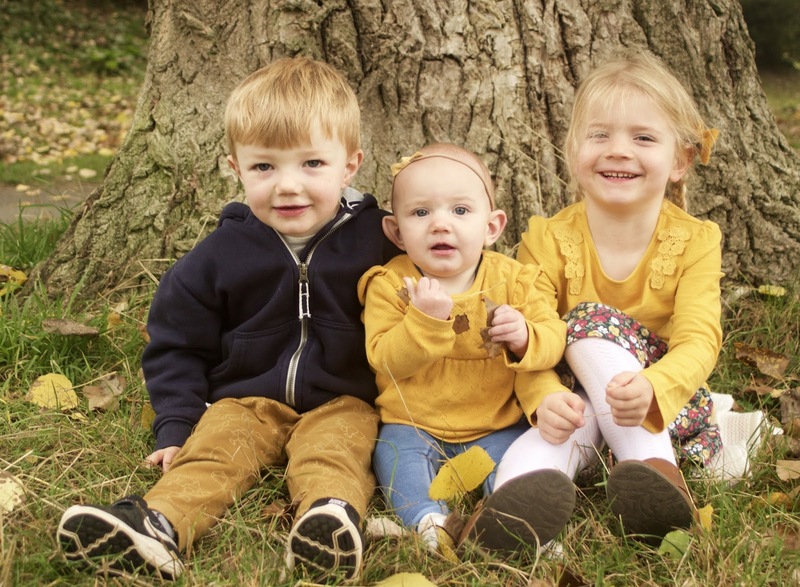 This month's siblings pictures were taken on one of those park trips - matchy matchy outfits meant I just had to get some snaps of our trio! I love Lilah's little expressions in these photos, as they really do sum up her blossoming personalty. She probably thinks her mama is crazy plonking her in these random spots, making crazy faces to get her to smile. Indie and Parker are clearly used to my craziness by now, but she still just gives me the most confused and unimpressed little faces. It's hilarious! It's crazy that just a few months ago, our trio was just a duo. 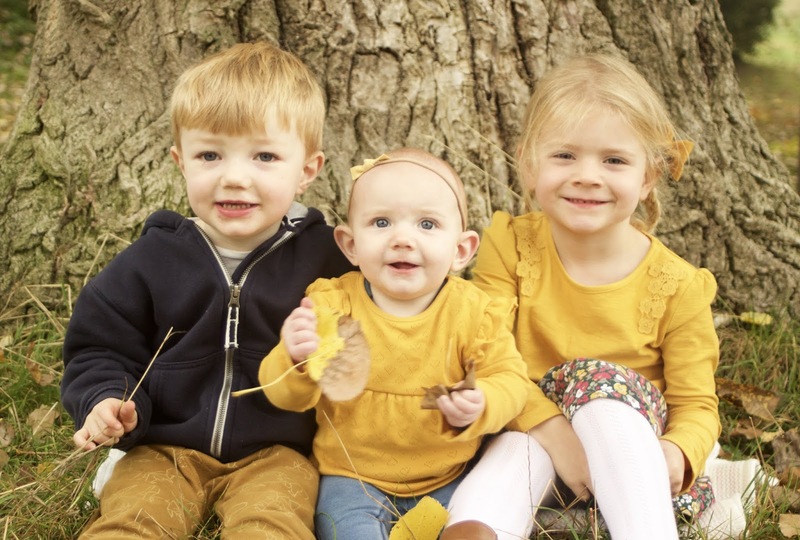 It honestly feels as if Lilah has been part of our sibling tribe forever, and I really couldn't image life as a family of four anymore. 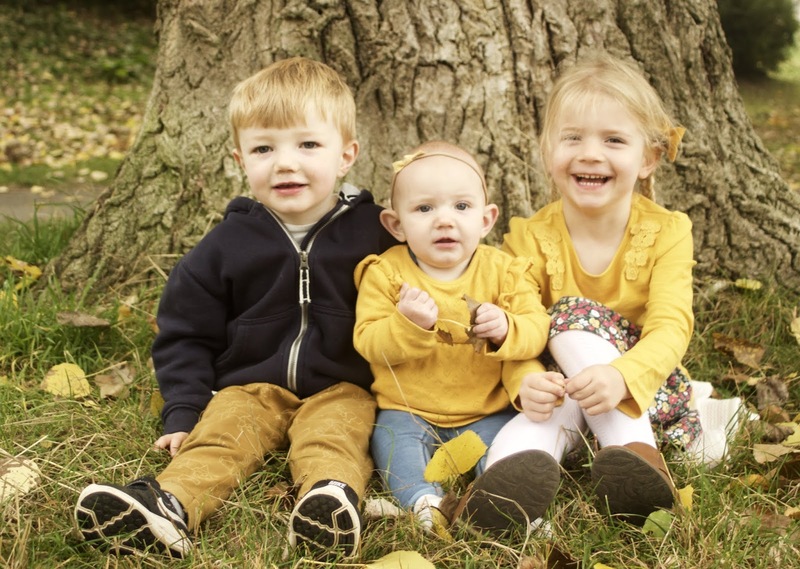 Three littles is loud, chaotic, and full of hard moments. But it really is the best. And I cannot wait to see how the dynamics are going to change over the years. 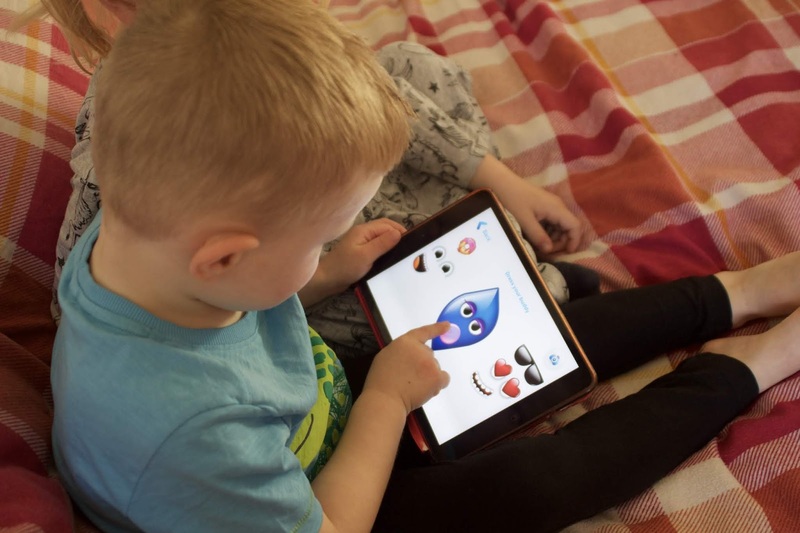 With technology quickly becoming a big part of our little one's lives, I'm sure I'm not the only one who is becoming more conscious about what they are watching online. There are so many apps and videos that just can't be trusted these days! Thankfully though, if you are a Sky customer, they have their own dedicated app to put your mind at ease. 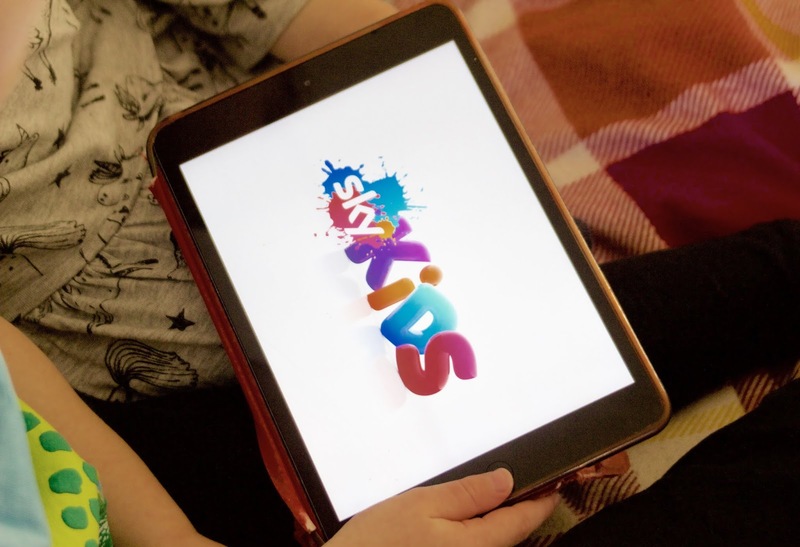 The dedicated Sky Kids app is described as "a world of entertainment for them, peace of mind for you", and is available to download on your phone or tablet at no extra cost (to Sky TV customers with the Sky Kids pack). All you have to do is pop in your Sky login and you're away! 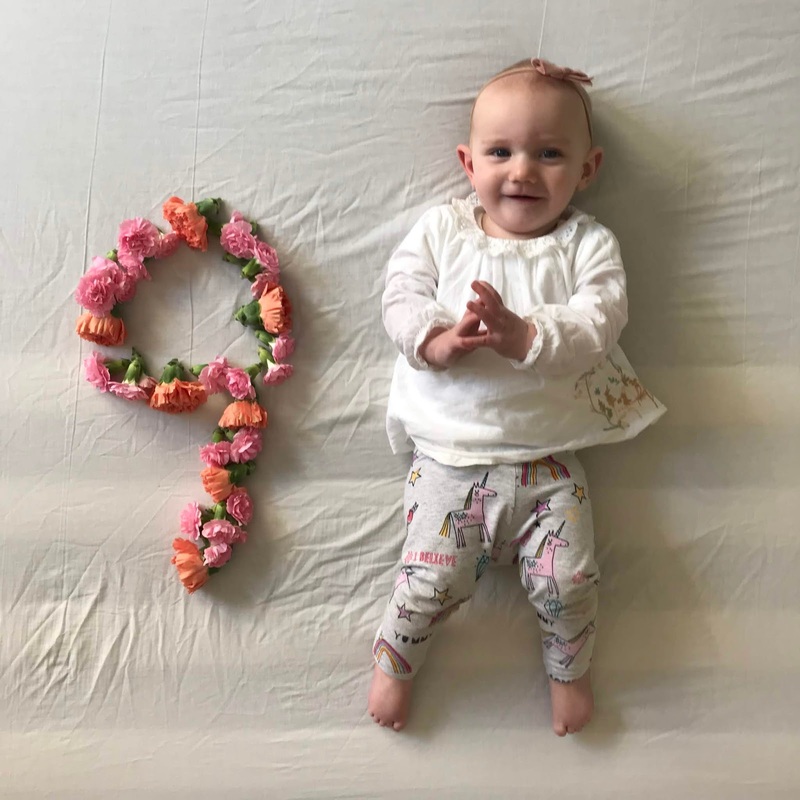 You can set up up to 10 unique profiles, (so there's no chance of any arguments between your little ones), which can all be individually tailored to your child's age too. 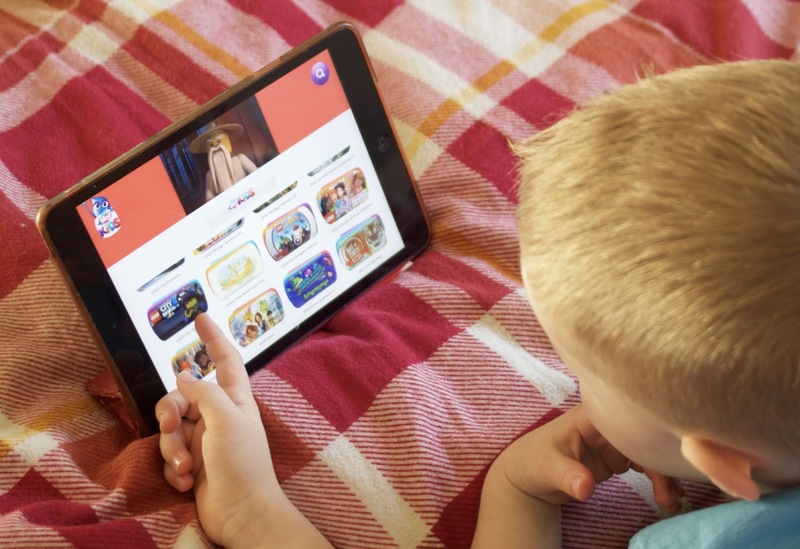 Once signed in your little ones are greeted with over 5000 on demand episodes, from all of their favourite characters and shows. 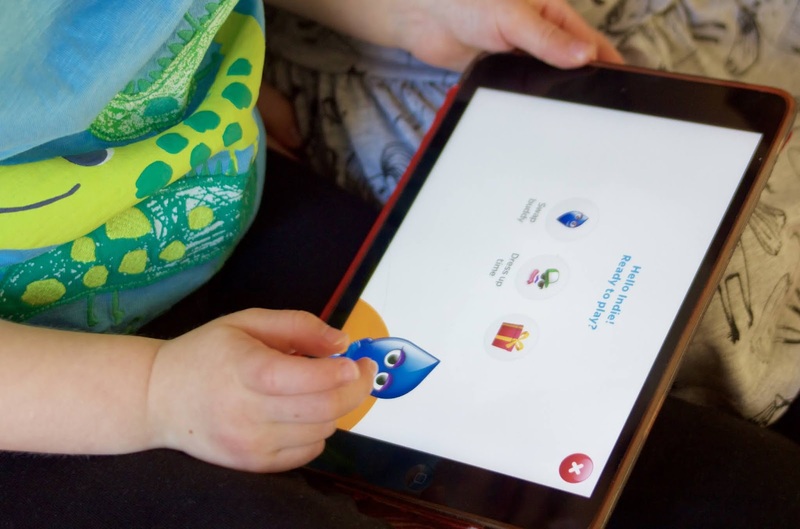 And as you can personalise each profile, only those programmes that are suitable for your child will be shown - making it easier for them to navigate, and giving you peace of mind too! From the home screen you can either just scroll through all of the programmes on offer, or pick a channel to search through. 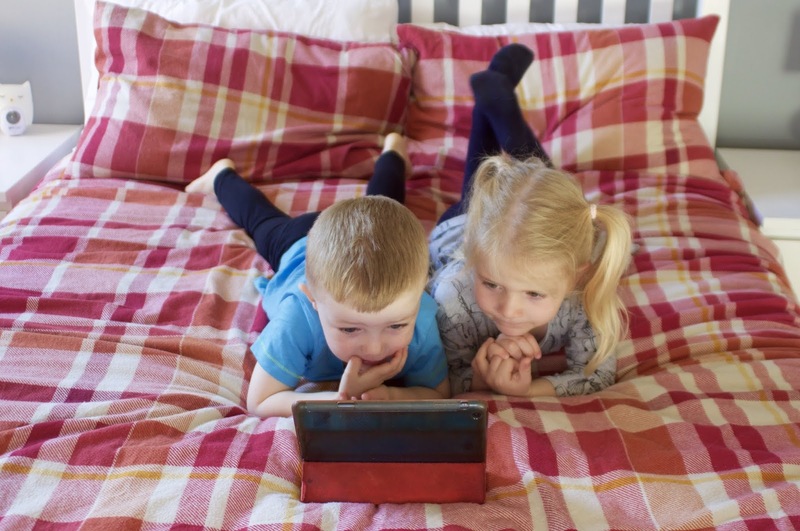 Channels include NickJr, Milkshake!, Disney Junior, CBeebies, Cartoonito, and Sky Kids which is full of favourites such as Lego and The Gruffalo! 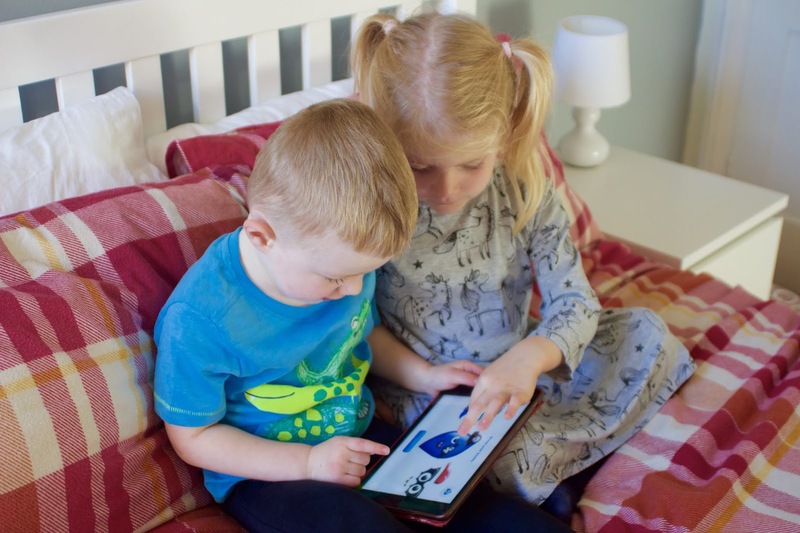 The app also has fun little extras such as educational games and quizzes (only available on a tablet at the moment), that my two really enjoy playing too. 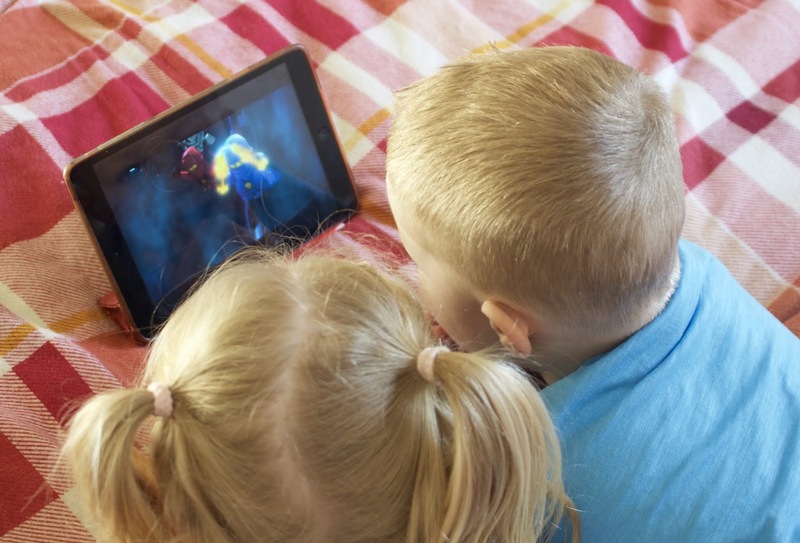 If you want to watch while out and about, you can also do this through the Sky Kids app too. Simply download the programme you want while connected to the internet, and then watch while on the go. We love doing this for long car journeys, or if we need to entertain the littles while out and about. 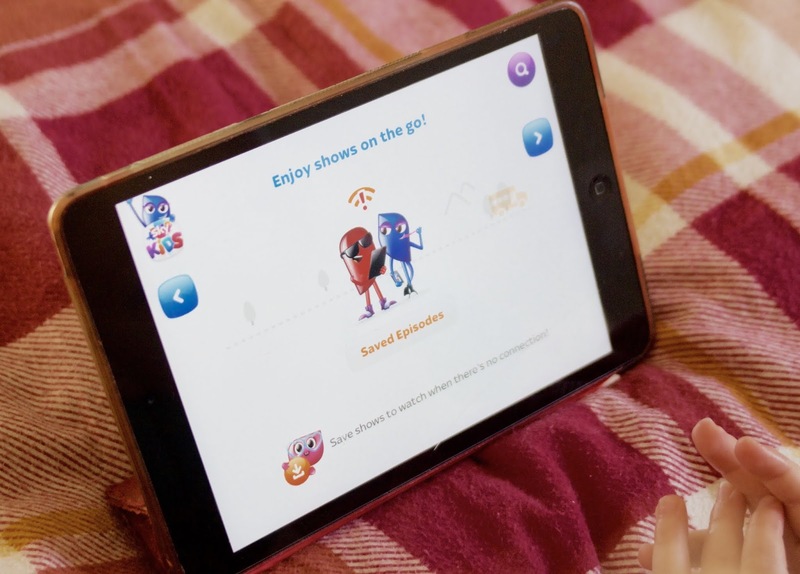 The Sky Kids app is of course loaded with parental controls too, so you can stay in control of what your children are watching and playing. The 'sleep mode' is a ready handy feature, as you can set when your child can and cannot use their profile. So if you don't want them watching or playing before school, you can set it to unlock at 4pm. So clever! The parent controls is also where you can set up and adjust profiles, if you need to access them after the initial set up. Overall we really do love using the Sky Kids app. 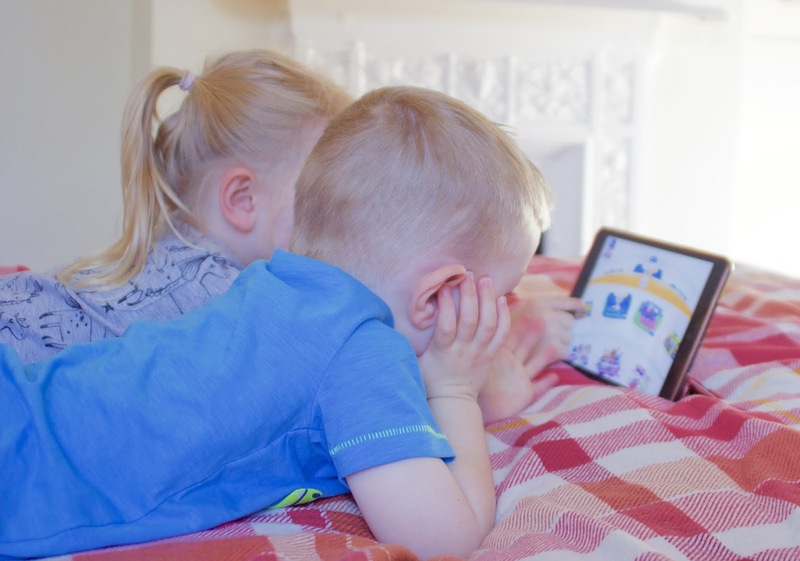 It's perfect for my big two (who are almost 5 and 3); I can let them relax after school with their favourite programmes, while I have peace of mind that what they're watching is safe and suitable for them. Autumn is the favourite season of myself and many others, and it’s pretty easy to see why. While the weather can be somewhat questionable at times, the beautiful colours, the Halloween chocolate, and the Christmas shopping more than makes up for that (as do the hot chocolates and pumpkin spice lattes of course!). That being said, with this shopping and the sudden drop in temperature, it can be easy to spend more than you really should. 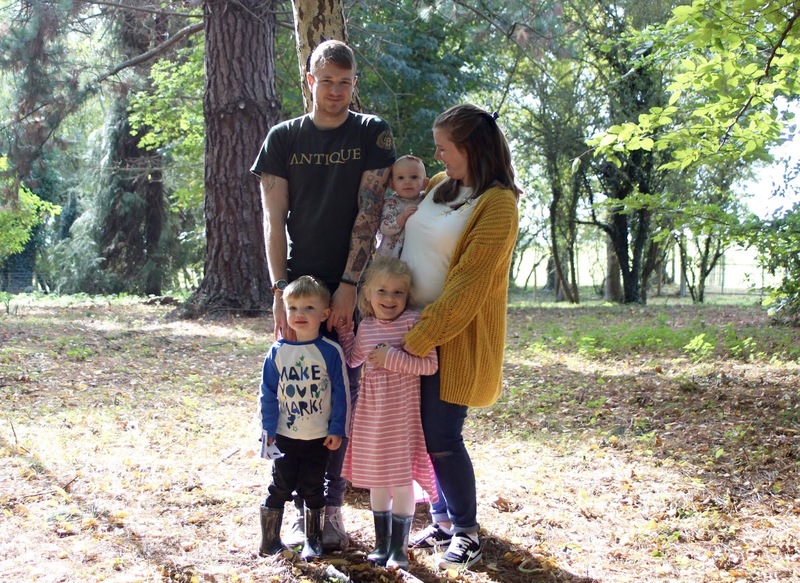 So today I'm sharing 6 easy steps to follow, if you want to save some money this Autumn season. 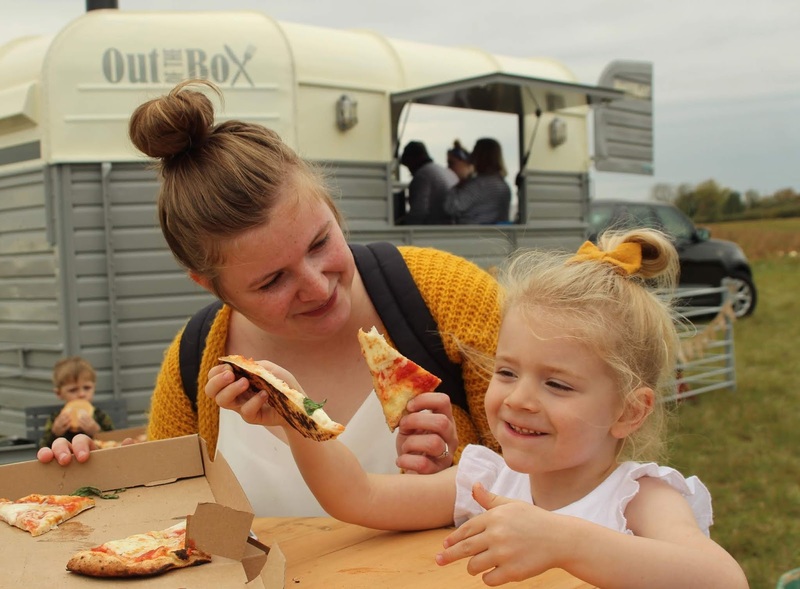 During the blistering heat of summer, very few people want to get in the kitchen and work over an even hotter oven, which often causes families to spend more and more on takeaways and meals out. Thankfully, throughout autumn and winter, you don’t have this excuse. For this reason, you should cook your own hearty foods, like soups and chillies, using cheaper, seasonal ingredients. When the cold weather hits, far too many people choose to turn on the heating to keep warm. Instead, you should work towards creating a cosier home, so you don't have to turn on the heating too early. Invest your money in rugs for the cold floors and snuggly blankets and jumpers. You should also find and block any draughts and install insulation in the roof, as this will keep you toasty without increasing your energy bills. A fireplace is a lovely addition to any room, but if yours uses wood as a fuel source, then the maintenance costs can be outrageous. With that in mind, you may want to consider switching to an electric fireplace instead. This is a lot more energy efficient, so you’ll stay warmer for less! They also usually require little, to no maintenance too. Many people try to avoid “the C word” until Halloween and Bonfire Night are out of the way, but starting your Christmas planning earlier can save you money in the long run! If you start in Autumn, you have time to shop around for the best deals and can also spread the cost, so you don’t have to face a huge dent in your bank account come December. Most stores have big sales during October too, so you can get most of your presents for half the cost! There are plenty of ways to save money on holidays, but one of the very best is travelling out of season. With that in mind, autumn is the perfect time to book a getaway. Most destinations are a lot quieter this time of year too, as children are back at school. Just make sure you pick a destination that has the weather you are after! If your patio furniture, barbeque, or gardening tools were left a little worse for wear when the warm weather left us, you might be thinking about replacing them for next summer. Instead of waiting until the new year, why not buy them now? You’ll most likely find all of the garden and summer items have gone into the sale, and therefore you won’t have to stress trying to source them next year! The leaves and temperature may be falling, but your bank balance doesn’t need to. 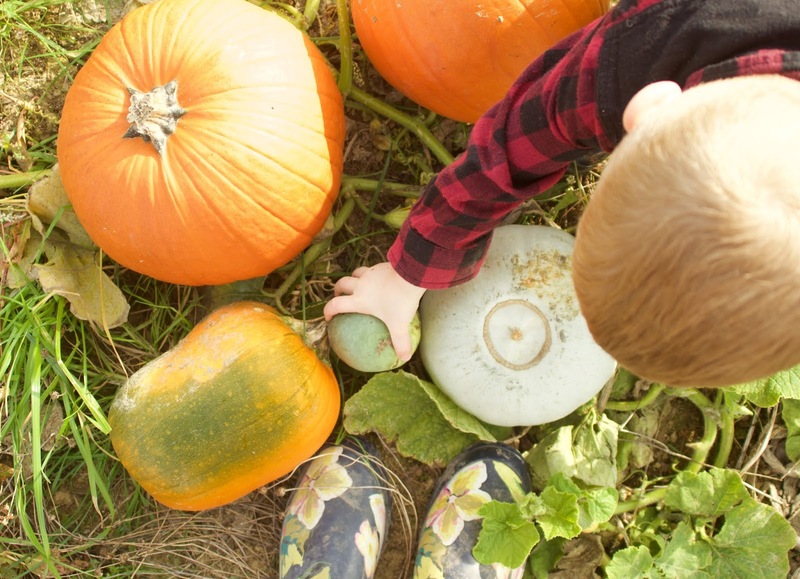 If you want to save money this autumn, then why not consider these 6 easy steps above? One of the most significant problems in the modern world is the state of our nutrition. In some Western countries, more than 70% of adults are either overweight or obese! But what many people do not realise, is that obesity is a problem that begins in childhood. Food is an essential part of life, so it’s vital that we instil good habits in our children from as young as possible. One of those habits is to make sure that children start cooking at an early age - rather than getting their calories from fast-food or unhealthy snacks. 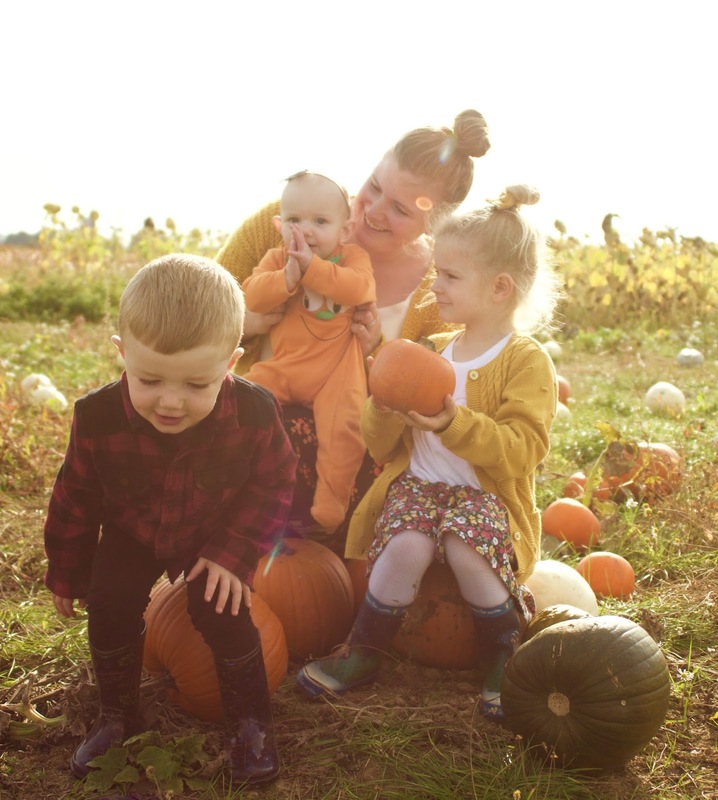 So today I thought I'd share four easy, but fun ways that you can encourage your little ones to enjoy a healthy diet! Very young children won’t be able to cook straight away, but that doesn't mean you can't get them involved. Using a wooden toy kitchen is a perfect way to introduce children to food and is the perfect entry-point into the world of cooking. Children can practice cookery using their imagination, and when they are old enough, move on to do the real thing. 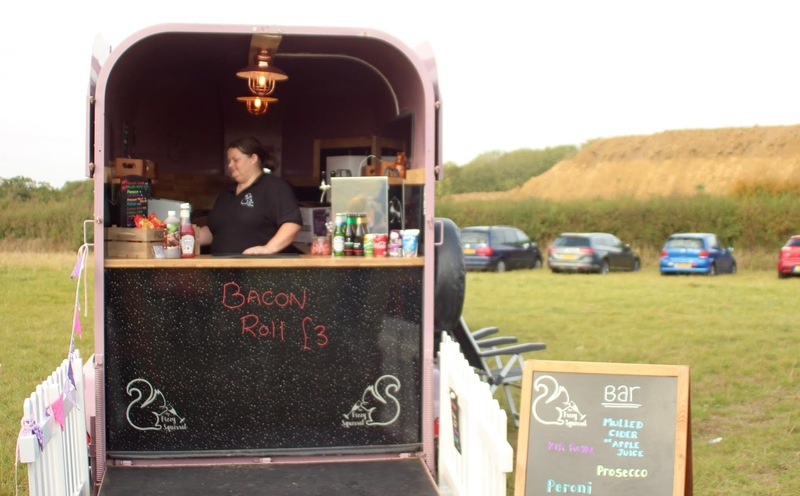 As adults we know that all the best recipes out there combine different flavours and textures. Sweet and sour, lime and coriander, chocolate and mint - these are all classics which have been learnt through experience. But children don’t have any of this knowledge and so need to learn it from scratch. One of the ways you can do this as a parent is to set up a tasting session with your children. Get them to combine different flavours, and tell you which ones they think work and which don’t. They’ll soon get the hang of it, and won't even realise they're learning while having fun! You might hope that as soon as your child learns to cook, they’ll begin with healthy foods. But as any parent will tell you, pigs will fly before their child prepares a plate of vegetables or a salad of their own free will. That’s why it’s a good idea to begin their Masterchef adventure with foods that they actually like! Baking is an excellent starting point, and so is pizza making. Choose recipes where the making part is a lot of fun, and children can customise their meals according to their preferences. Children, like adults, have an inbuilt desire to do what they want to do. So forcing them into the kitchen and making them join in won't always be the best way to go about the situation. Instead to get children to use the kitchen, it’s far more useful to avoid negotiation entirely and simply hand them a mixing bowl and get them to start stirring. Or to ask them whether they like the icing pattern you’ve started on top of a cake and if they want to finish it.